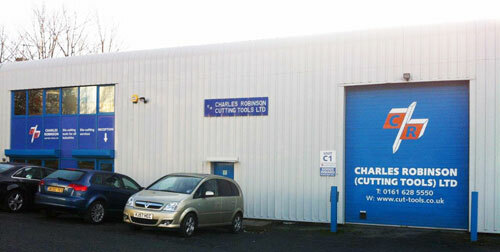 Welcome to Charles Robinson (cutting tools) Ltd. Specialist commercial die-cutting tools & die-cutting services. Charles Robinson (Cutting Tools) Ltd. offer commercial die-cutting tools and are based in Oldham, near Manchester. We specialise in custom made die-cutting tools to your specification for the packaging, print finishing, labeling, medical, abrasives, automotive, gaskets, textiles and vacuum - forming markets to name but a few. We also offer short run die-cutting facilities for a wide range of materials and applications. Our experience dates back over four decades, and all our operatives are fully trained and time served, meaning our customers receive only the finest precision made dies to exacting standards, and within short lead times. Our Technical Department can also advise and recommend the most suitable format, materials, and the most cost effective way to produce a die, both in terms of set up costs and overall run costs. Our CAD and CAM systems (including C.N.C. routing) provide us with efficient and reliable processes for the manufacture of very small to very large format cutting dies, meaning turn around times are quick, and the finished format precise. Charles Robinson (cutting tools) Ltd. also gets involved in pan-European Research & Development Programmes - click to see more.